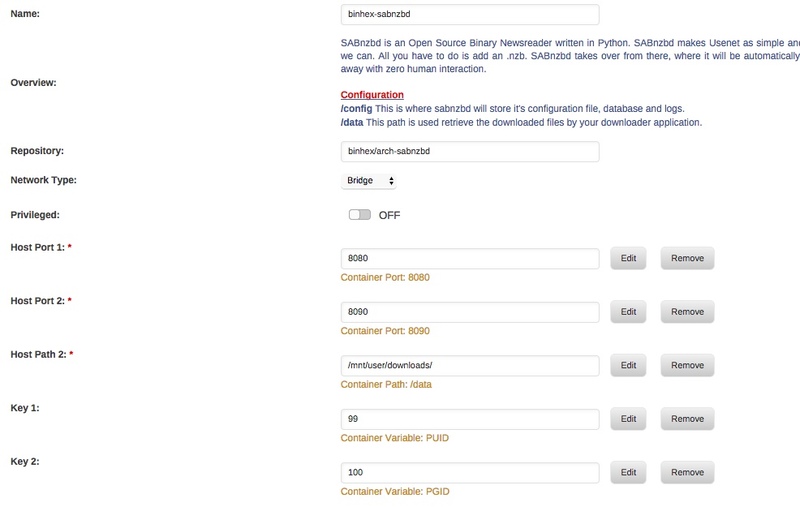 Ok I added the container to Sonarr, but the path is not listed, for sabNZB it says :data does this matter? See attachments. 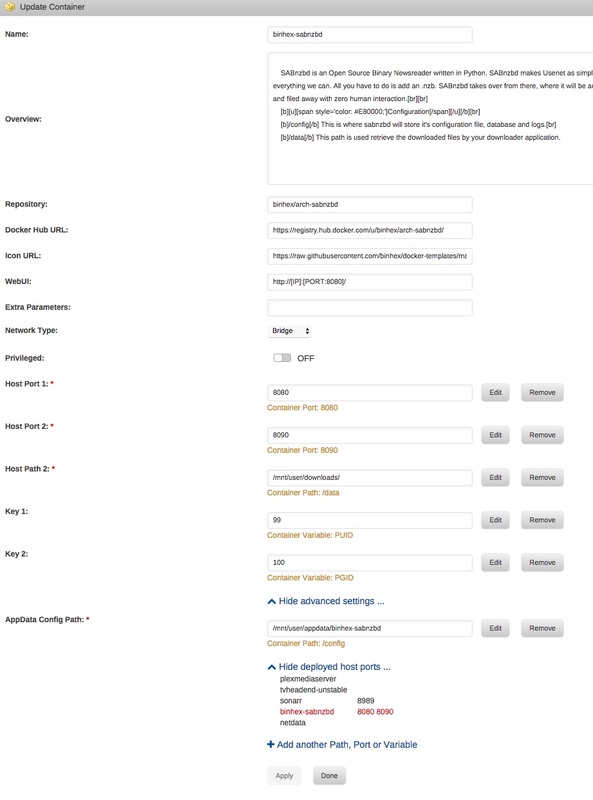 Now that I have added this to Sonarr what is the next step? 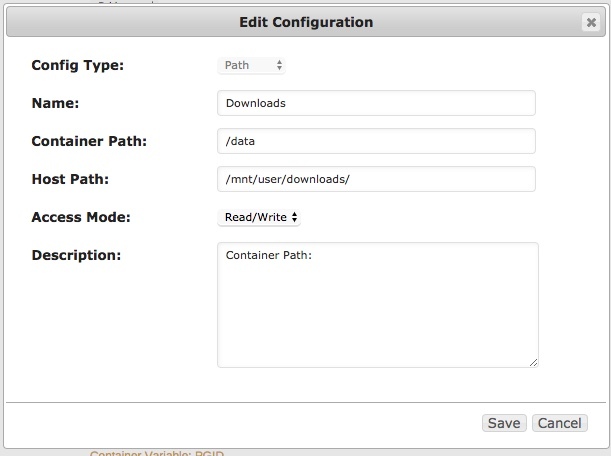 I'm guessing I need to add the container path in Sonarr to match that of Sabnbz to /data ? Ok fixed, this is the sonarr container now, correct? What are the next steps now with sonarr and the folder mappings? Ok I am now getting all these email alerts that sonarr is sorting my tv episodes and they are disappearing from my 'completed' folder...Where are they being moved to? The problem is that I have a share on this unraid server called TV, but I have another unraid server called TV with the same share TV where I want Sonarr to move the downloaded files to, how do I accomplish this? TLDR: You have to tell sonarr where to put the files within the show's settings. Right now its putting them where you originally told it to. 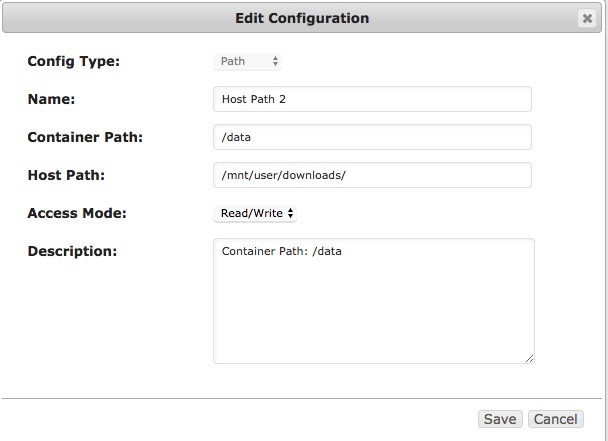 So I mounted a share and updated the sonarr container path, does this look correct now? I got it working properly, thanks so much for your help. One quick question, when I was first setting this up Sonarr created two folders in my TV directory on the unRAID server on which the dockers run and I cant delete them, it saying I don't have permission for user /Nobody. How do I delete these folders? I was able to rename them, just not delete them. So glorious sab 2.0 is now out for this docker. It supports the new multi-core par2. I have no clue on how to install it though. Squid I need your help again, I had to delete the Sonarr docker because it wasn't working properly and affecting my server. I thought I took screen shots of all the settings but evidently I did not, and now episodes that sabNZB downloads are not being automatically copied to my other server as they were before. 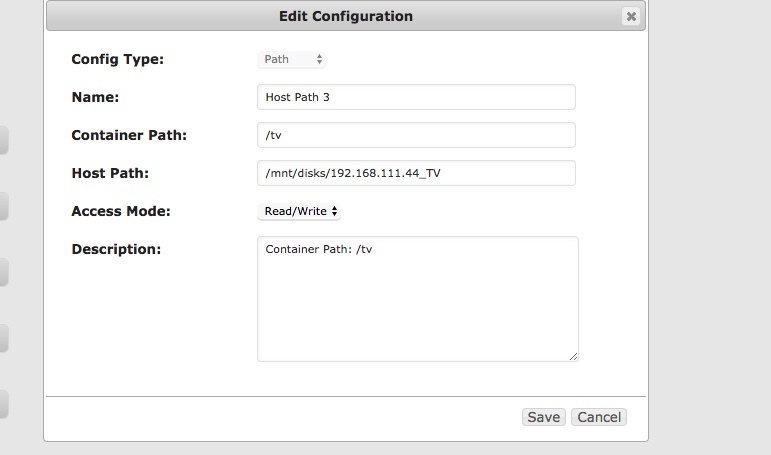 Sonarr and sabnzb need to have the same container path in order for each other to see the episodes. 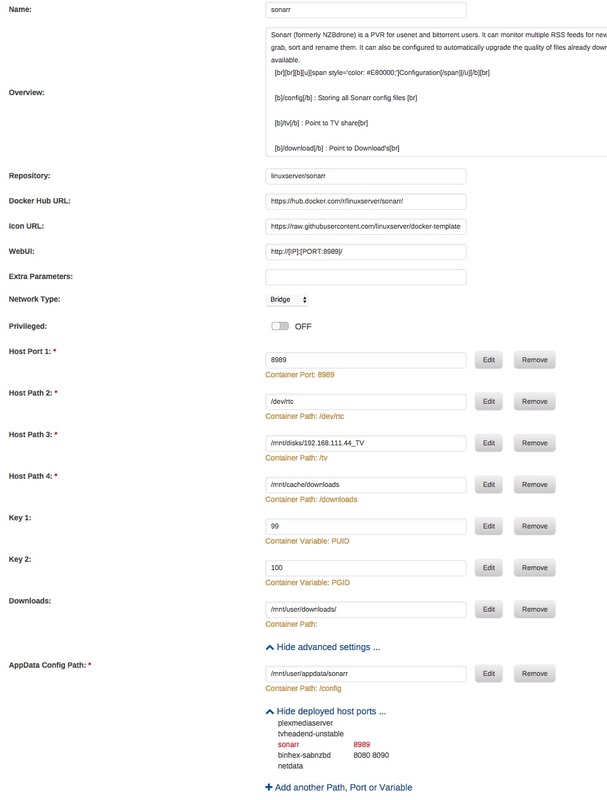 If sab downloads to /downloads and sonar is looking in /data, sonarr will never see /downloads, even if both point to /mnt/user/downloads. Post is about sonarr / nzbget, but the same discussion applies. I had one of the containers spelled wrong in the Sonarr docker, I've corrected that and restarted both SAB and Sonarr but it doesn't seem to be copying the episodes over. How does it work? Does Sonarr push the file to the destination I provide? 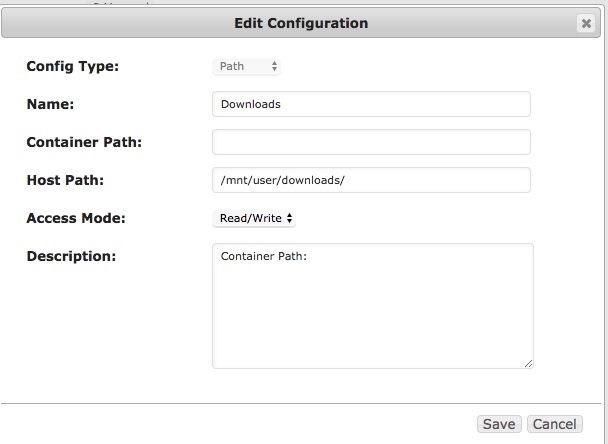 In "docker land" the spot sab writes to, and the spot sonarr reads from, needs to be exactly the same container path. Sonarr pushes the files to whatever destination you set up for each series, in sonarr. Where is pushes it has nothing to do with the problem of sonarr not seeing the sab downloads. 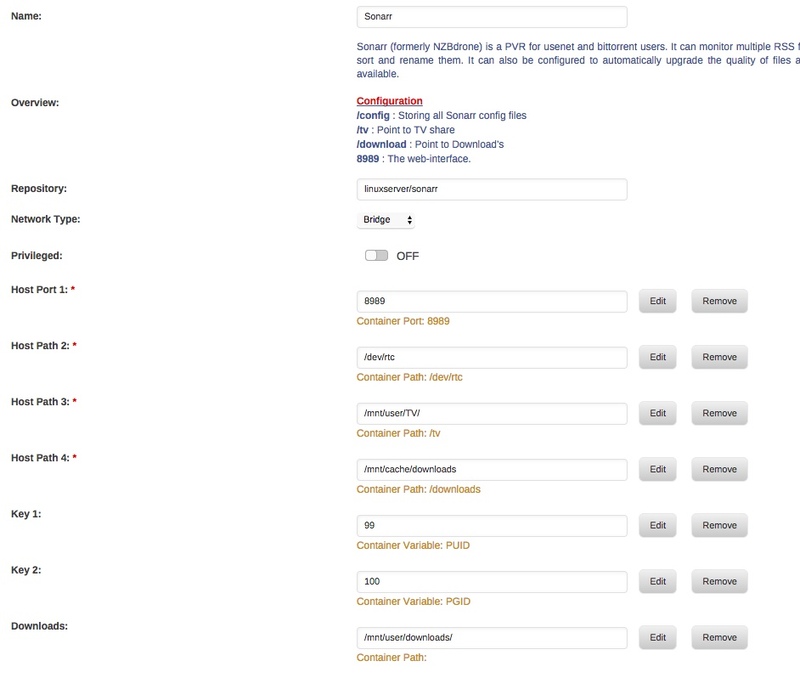 I am seeing these errors in Sonarr not sure where its getting this path from. I am going to post screen shots of my dockers because I believe everything is correct. Ok here are my dockers, where have I gone wrong?